Your Smile Marketing website features state-of-the-art eLearning. This Socratic approach to patient education is engaging and produces the belief-changing critical thinking that a brochure or lecturing at patients can’t create. Patient love these little bite-sized quizzes. This is true patient education. Besides being more effective, using your website to educate patients reduces the burden on you and your team, freeing everyone for more productive tasks. Each module can be completed in 3-minutes or less. When combined with a little humor and catchy graphics, patients look forward to their next online lesson. As you add new patient subscribers to your website, they are invited to participate in your online patient education. When you get this type of feedback, you can be sure that something quite amazing has occurred. In the process, you’ve created a new referral ambassador for your practice—done during non-practice hours! 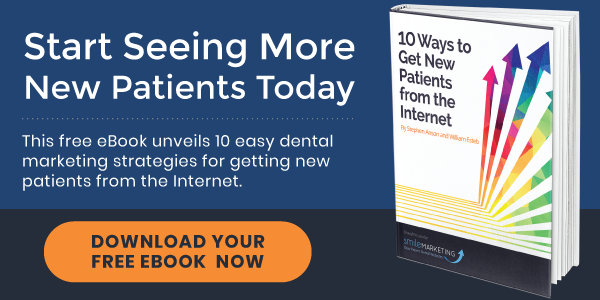 Put Smile Marketing to Work For Your Dental Practice! Ready to upgrade your current website and educate patients using state-of-the-art eLearning? Download our simple service agreement and let us educate your patients the easy way.